There are plenty of days when I am deeply frustrated by my walk with God. Why? Because sometimes, at least in some areas of my life, I just don’t seem to be making any progress, or if I am, it’s negligible. I can’t see it. I believe that I should be “better” than I am by now. And I know that I’m not alone. As a minister, I hear that from many people. They, too, get discouraged and from time to time are so deeply depressed about their lack of spiritual progress that they talk about giving up. The caterpillar, of course, probably can’t understand a word you’re saying. But if it could, do you think it would believe you? It’s blind: it’s never been able to see a butterfly or to even imagine such a thing. It would probably laugh out loud at your words of encouragement and think you were nuts. But you know it is true, even if the caterpillar doesn’t. 2 Cor. 3:18: And we…are being transformed into his likeness with ever-increasing glory. Phil. 3:20-21: Our citizenship is in heaven. And we eagerly await a Savior from there, the Lord Jesus Christ, who, by the power that enables him to bring everything under his control, will transform our lowly bodies so that they will be like his glorious body. 1 John 3:2: Dear friends, now we are children of God, and what we will be has not yet been made known. But we know that when he appears, we shall be like him. We ARE being transformed…Jesus WILL transform our lowly bodies…what we WILL BE has not yet been made know, but we know that…we SHALL BE like him. Like the caterpillar, for now we’re blind and can’t see it, but when we emerge from our cocoon, we will have eyes to see! God has been telling us this for 2000 years or longer. But we’re like the caterpillar who has trouble understanding what God is saying, and even greater trouble accepting it. When I’m discouraged about my walk, I need to remind myself that I am like the caterpillar for the time being, but because Jesus has the “power that enables him to bring EVERYTHING under his control” that He will not fail to change me into his likeness so when I arrive at the throne of God, I “shall be like him.” It’s almost too good to believe, isn’t it? Who and what we will be is more than we can imagine! PRAYER: Lord, this process seems so slow and I often fear that I will gum up the works and bring it all to a screeching halt. Help me to remember that You are the one who turns caterpillars into beautiful butterflies, and that You’ve promised to do that for me, too. In Jesus’ name, Amen. Lesson: It’s important to try to communicate our love as often as possible. Oftentimes throughout the day (and night!) Casper (my white boxer) comes to wherever I am at and either stands or sits, looking at me with those large, soulful eyes that are characteristic of the breed. He is totally irresistible when he does that!!!!! I can’t help myself…I simply MUST respond to him. I take his head in my hands, stroke his neck, pat the top of his head, rub his back, scratch his chest…and start talking. What do I say? Well, since I can’t speak dog, and he can’t speak English, I just speak to him in my own language…I tell him over and over again what a good dog he is, that he’s a good boy, and more often than not, I find myself telling him, “I love you so much! Do you know how much I love you?” I say that over and over and over. Do you know why? Because I want to be sure that he KNOWS he is loved and that I’m crazy about him. Does he understand me? His soulful eyes leave me wondering if he grasps any of what I’m saying. I honestly don’t know. I hope he understands, but regardless, he sure seems to like it! As I thought about this, I thought about God’s dilemma in trying to tell us how much He loves us. The analogy isn’t a perfect one, for surely God can communicate in English, Spanish, Portuguese, German or any other language He chooses…but since He doesn’t audibly speak to most of us, He usually communicates His love to us in other ways. God’s native language is the language of heaven, while ours is one of the languages of earth. So God, for thousands of years, attempted to communicate His love to mankind through blessing, through beauty, through a thousand-and-one tender and loving gestures…but we didn’t get it. At least, not many got it…until Jesus came and then God could literally take our head in his hands, look us in the eye, and say, “For God so loved the world that He gave His only begotten Son, that whosoever believes on Him should have everlasting life.” Even in Jesus, God’s gestures were the greatest proof of His love – the cross being pre-eminent among them. And, I wonder: how many times a day is God trying to tell me in one way or another “I love you so much! Do you know how much I love you?” And I wonder, in the same fashion that I wonder if my dog understands my love for him, if I even begin to grasp the ways and times and depth of God’s love and how He tries to communicate it to me. This much I do know: I will keep telling Casper how much I love him every day. God keeps telling me, too, if I only have ears to hear it. And I need to tell those around me how much I love them – and make sure they understand that God loves them, too! PRAYER: I thank You, God, for my dog and for love. I thank You that You never tired of trying to show and tell us how very much we are loved. Give us ears to hear it and hearts to believe it. In Jesus’ name, Amen. That is the essence of Paul’s teaching: In life, there are two birds. The one bird looks for foolishness and stupidity, the other looks for wisdom. 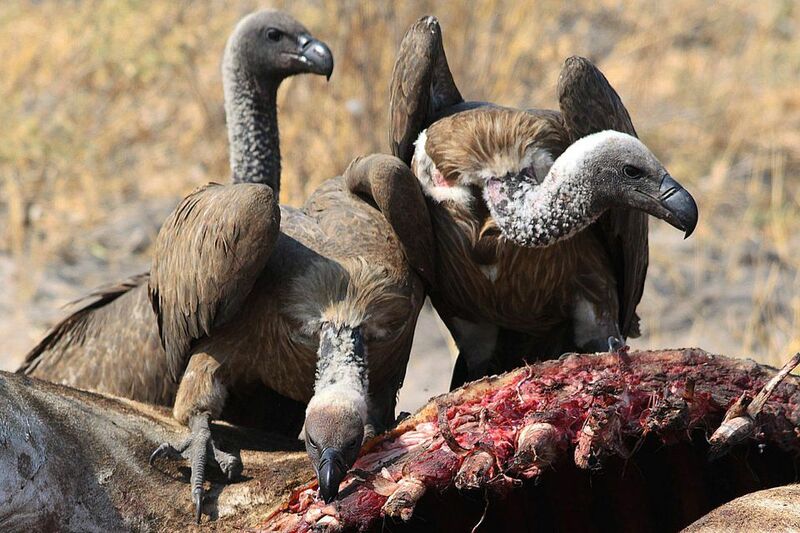 The vultures seek to fill themselves with the rotting flesh of drunkenness and debauchery, the hummingbird sobriety, freshness, and the Spirit. In the desert of this world you have your scavengers who are angry and ungrateful, but you also have those who hum a grateful hymn of thanksgiving. The irony is that you find what you are looking for. In the fifth chapter of Ephesians Paul outlines proper behavior for good living. In this short passage he admonishes his readers to be careful how they live. He is brief and to the point. Three things we must do: be wise, be sober, and be thankful. It’s a short list but if we can orient our daily lives around these three-be wise, be sober, be thankful-we will transform not only our lives but also the lives of our family, friends, church, and neighbors. AVONDALE, Ariz. – An Arizona man said his 3-year-old Labrador retriever was so excited for the Super Bowl that he devoured two very expensive tickets to the game. 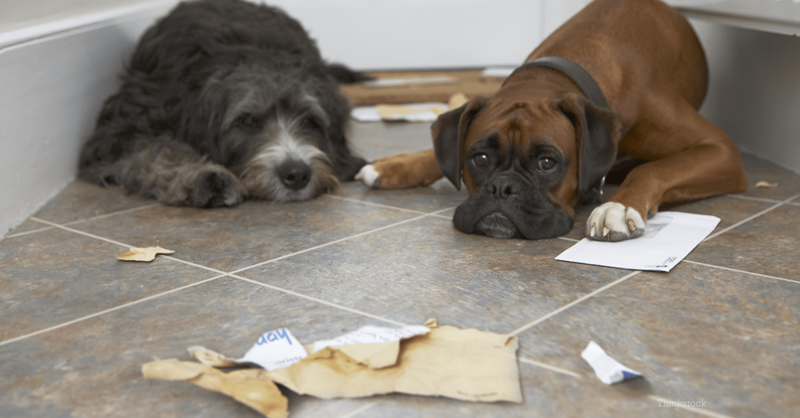 Chris Gallagher, of Avondale, Ariz., said he asked that a courier slip the envelope containing two Super Bowl XLII tickets under his doormat but the envelope was instead inserted under the door — and into the waiting jaws of his dog, Buddy, The Arizona Republic reported Tuesday. If you’re a long-time DayBreaks reader, you’ll know I love dogs. In fact, as I sit here writing this, my wife’s dog is sleeping at my feet, and mine is curled up on his favorite chair (he thinks of it as his “throne”) about 8 feet away. So, don’t get me wrong – I love dogs. And their big eyes can melt my heart and resistance in the tick of a clock! And that, I’m quite convinced, is fine. Why is it that I can go from being furious at Satan one moment to falling for his stories and his big eyes the next? Casper (my dog) wants nothing more than to be loved and to play. Satan hates me. He hates you. He doesn’t want to bring us happiness or joy. He’s great at the bait and switch – let us think something will bring us happiness – and then when we’re into it too far to easily get out, he lowers the hammer on us. Satan doesn’t want to play. He wants to kill. Don’t fall for his “soulful eyes”! PRAYER: God, we are so easily misled by the innocent look of temptation! Let us see Satan as he truly is and not be fooled by his deceit. In Jesus’ name, Amen. It is sometimes easier to hope than others. But as G. K. Chesterton put it: “Hope means hoping when things are hopeless, or it is no virtue at all…As long as matters are really hopeful, hope is mere flattery or platitude; it is only when everything is hopeless that hope begins to be a strength.” I think he makes a good point. If we were the rats in the tank in the experiment and could see a way to get ourselves out of the tank, then what would we be relying on? Ourselves. And then it isn’t hope, is it? Of course, we aren’t rats in a tank. We are of much greater value. We weren’t put here by some crazed scientist for the purposes of experimentation. God isn’t performing laboratory experiments on us. We need to remember that it was our sin that put us in the tank – not some all-powerful cosmic scientist to watch creatures struggle to see what they would do! We alone are responsible for the fact that we are drowning. God alone is responsible for the fact that there is a way out of the tank. God has spent thousands of years rescuing us from the cesspool of our sin and shame and He is still about the business of rescuing broken and drowning people today. Romans 5:5-6 reminds us: And hope does not disappoint us, because God has poured out his love into our hearts by the Holy Spirit, whom he has given us. You see, at just the right time, when we were still powerless, Christ died for the ungodly. You see, God didn’t just build a ramp out of the tank, He got in the tank with us and has lifted us out. When you despair of ever seeing or feeling the joy of a sunrise again, look around you. You will see the Son of God at your side. He will not fail you. He will not let you down. You may have to reach the point where the situation is “hopeless” before you turn to Him so you can learn what hope really is. We all need to remember that “hopeless” is a human term – it doesn’t exist in God’s dictionary. PRAYER: Thank you that you not only didn’t leave us hopeless, but gave us the greatest reason for hope ever! In Jesus’ name, Amen.